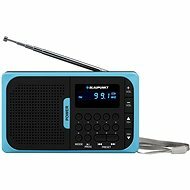 A practical companion for those who cannot imagine a minute without their favourite radio. 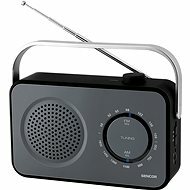 The GRUNDIG Music 60 portable radio offers you the opportunity to enjoy modern music and interesting shows wherever you are. Due to an auto-tuning frequency control technology, the radio will always provide you with clear sound. Additionally, the Tone Control technology will adjust the settings to regulate timbre. Another sound enhancing feature is the Loudness function to provide you with good dynamics even when listening at low volumes. However, the built-in speaker handles even loud music. The radio also features a stereo headphone output. In addition, its telescopic antenna ensures sufficient signal reception but also maintains compact dimensions of the entire radio. 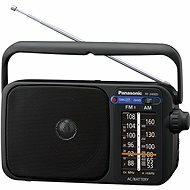 Of course, the radio can be powered from the mains as well as by a battery. For shipping to other EU countries visit this page GRUNDIG Music 60 silver. Für Versand nach Deutschland, besuchen Sie bitte Musik GRUNDIG 60 Silber. Chcete doručit zboží do Česka? Prohlédněte si GRUNDIG Music 60 stříbrná. Chcete doručiť tovar na Slovensko? Prezrite si GRUNDIG Music 60 strieborné. Für Versand nach Österreich, besuchen Sie bitte Musik GRUNDIG 60 Silber. Magyarországra történő kiszállításért tekintse meg ezt a termékoldalt: GRUNDIG Music 60 ezüst.